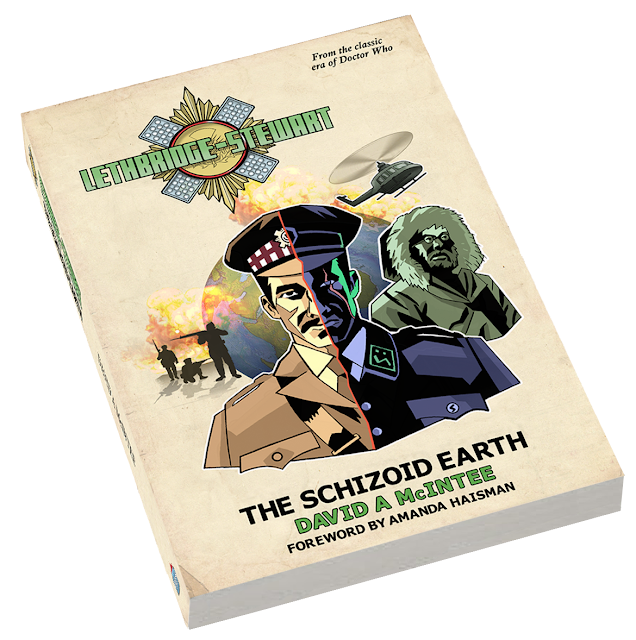 Candy Jar Books have announces an exclusive release for customers who pre-order their next Lethbridge-Stewart book, The Schizoid Earth, direct from their online store. Full details HERE. Check out the synopsis below. Random chance. That’s all it takes to change everything. What would happen had Colonel Lethbridge-Stewart and the Doctor failed to stop the Great Intelligence? A free 34-page story exclusive for those who pre-order The Schizoid Earth directly from Candy Jar Books. The offer ends September 24th 2015, and only applies to pre-orders for the paperback. The Schizoid Earth by David A McIntee is released on September 25th 2015.